Winter Goddess Foods: It's Farmers Market Time! The ice mounds and snow berms are history! With the days of unrelenting sub-zero temperatures and continuous blankets of snow that of our long hard winter (emphasis on both long and hard) hammered us with finally passing into painful memory, Spring has finally sprung here in Minnesota. The occasional 60-70 degree flirtations of Mother Earth coupled with the proverbial April showers, the greening of grass and trees, and everyone awaiting the sighting of the first robin, signals hope to the mind of every Minnesotan. However, nothing signals hope better than the start of the Farmers Market season! 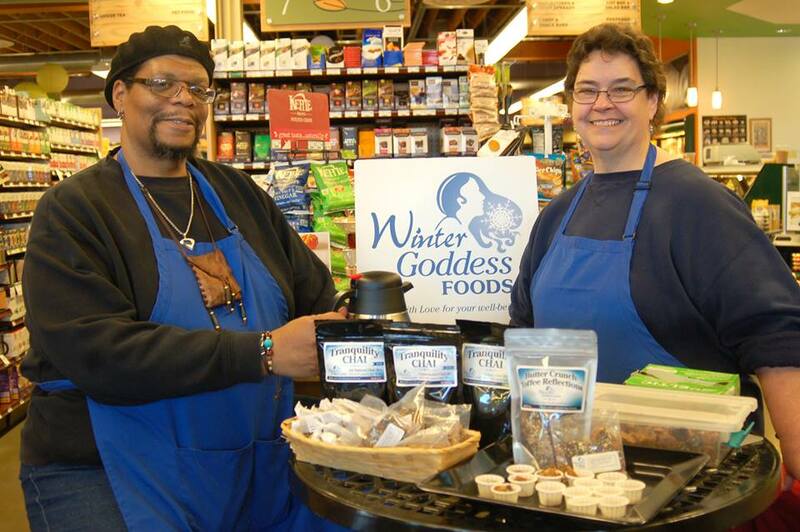 Winter Goddess Foods has been a part of the Midtown Farmers Market since 2010, and we are proud to be associated with such an innovative and positive community icon. 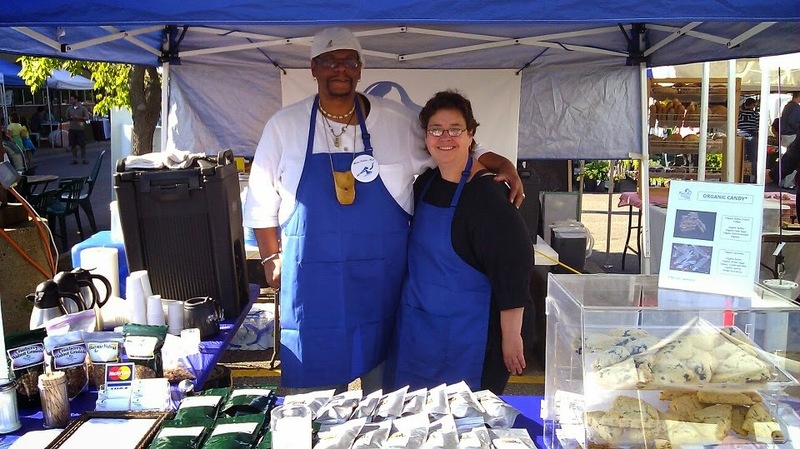 Established in 2003 as a project of the Corcoran Neighborhood Organization in South Minneapolis, the Midtown Farmers Market has developed into one of the premiere neighborhood shopping experiences in the city of Minneapolis. While some may think that it lacks the polish of markets in the more affluent areas of the city, and is smaller than the huge Downtown or Saint Paul markets, it more than makes up for these trivial short comings by providing one important thing: A sense of belonging. The Midtown Farmers Market truly is a People’s market. There is a palpable air of community here. The vibe is inviting and welcoming, free of any of that awkward exclusionary feel that you might run into elsewhere. Here you will see shoppers and browsers of every ethnicity, and every background, from the well to do to the economically challenged, gathered together in celebration of goods from local farmers and artisans, good food and good fun. In fact, the typical market shopper arrives early to meet up with friends, grab a coffee and a scone, or a breakfast sandwich, and settles in at a table for conversation and laughs while listening to live music played by a local artist or group. When socializing is done, they turn to the business of their weekly hunt for fresh produce, products and gift items for themselves, family and friends. As innovative as they are welcoming, in 2006, the Midtown Farmers Market became the first farmers market in Minnesota to accept EBT (Electronic Benefit Transfer) to allow folks who receive food support through the Supplemental Nutrition Assistance Program (SNAP) to purchase healthy fresh produce and local food. They also established the “Market Bucks” program as an incentive which provides an additional five dollars of buying power to the first five dollars spent through EBT. This program has become so successful that it has been emulated across the entire state, spreading to 42 farmers markets so far. There are other things that set this market apart as well. Since their existence began, the market has always exhibited an earth friendly environment. Each year their policies on waste collection and recycling have evolved and improved to reduce the market’s carbon footprint on the earth. This year the market is proud to announce that they are moving beyond recycling to include the addition of food vendors providing food and drink items using certified compostable serving containers, cups and utensils. In addition, the market provides a forum for a wide variety of community services and educational activities. In addition to the live music, there are puppet shows and other entertainment for the children, along with giveaways and raffles. There are also special themed events to be enjoyed over the course of the season including Bike Day and the beautiful pageantry of the popular Native American Heritage Day, along with newly added events such as African American Heritage Day, Youth Leadership Day and Fiesta de Maiz. Even more wonderful, at the end of each market day, the good folks of Sisters Camelot collect the perfectly good, but leftover produce from the farmers and producers, in order to provide daily hot meals for those in need in the community. With over 80 vendors that sell over the course of the season at both the Saturday and Tuesday markets, there are many offerings to be had by the savvy shopper. During the season, local Farmers and growers bring everything from plants and flowers, root vegetables, greens and more, to fresh eggs, smoked bacon, lamb, apples, melons, butter, honey and everything in between. Local artisans offer a variety of products including handmade jewelry, soaps, aprons, ceramics, wood furniture, clothing items, and even more including hula hoops! If you are hungry, there are a goodly number of food vendors around to satisfy your appetite, serving everything from grass fed beef burgers, omelets, tacos, and arepas, to baked goods of all kinds, fair trade coffee, organic chai, kettle corn, natural ice cream bars and organic candy. 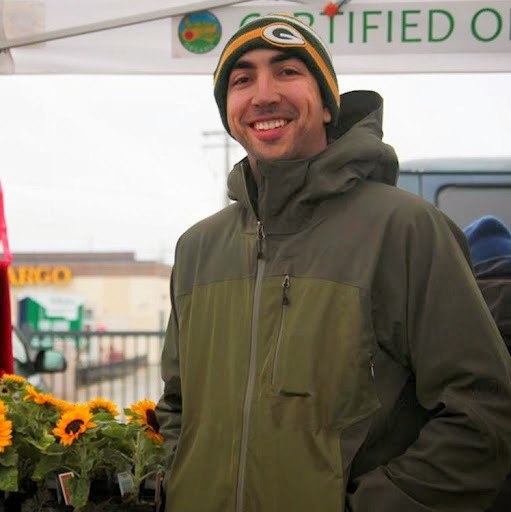 Miguel Goebel oversees market operations and is heading into his second year as market manager. He has a strong affinity for Food Justice and Food Equity, and wants to make people aware of the fact that there is more available besides what is offered by the big box stores. "It's easy for those with money to go in and buy organic products," says Miguel. "My focus is on making healthy foods available for those with less resources." Miguel has made great strides by implementing positive changes to improve vendor and market exposure. He also enjoys a warm caring relationship with both vendors and shoppers alike. Armed with a host of volunteers from the community, and backed by the generous sponsorship of local businesses, he has done a wonderful job in making the Midtown Farmers Market what it is today, a lively, vibrant, and fun place to be. With over 55,000 visitors annually, it’s popularity speaks for itself. 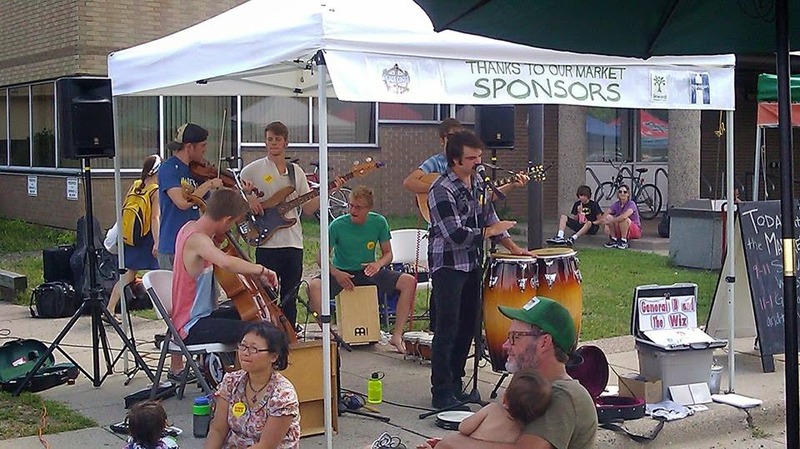 The Midtown Farmers Market is located in South Minneapolis, at the corner of 22nd Avenue and Lake Street, between the YWCA and the Light Rail's Lake Street Station. 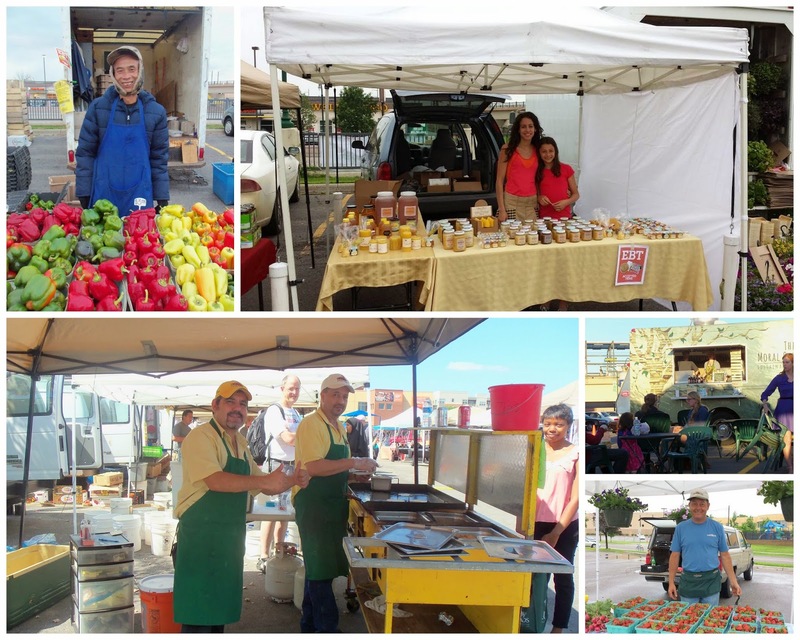 Market season starts this Saturday May 3rd from 8 am to 1 pm, and will run every Saturday through October 25. 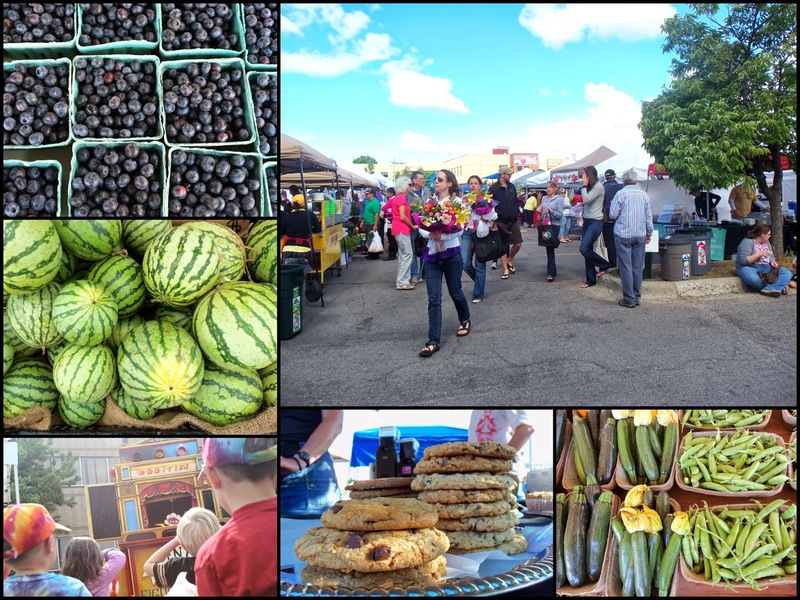 The Tuesday market operates 3 - 7 pm each Tuesday starting June 3rd - October 28th. If you are visiting Minneapolis, Terry and I invite you to come on down to the Midtown Farmers Market and see what the fuss is all about. Don’t forget to stop by our booth for a taste of Chai or Granola, and a little conversation.